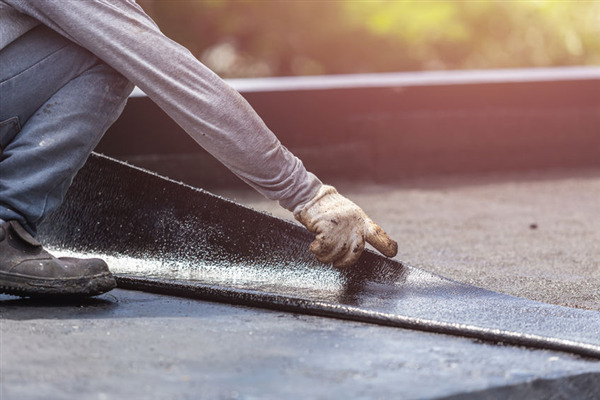 At A-Plus Roofing, we are commercial roofing contractors with an expertise in single-ply flat roof installation and maintenance. We’ve put together this helpful guide to explain how single-ply roofs work for your commercial building. A single-ply roof is any single layer membrane designed to cover a flat roof, typically meant for commercial use. Although the membrane is only one layer, internally it is usually constructed of several layers. Single-ply roofing has quite a few advantages for commercial buildings, but one of the most significant is its durability. Single-ply roofing membranes are completely resistant to UV rays. They also resist the proliferation of dangerous microorganisms and other harmful natural elements, protecting your roof from mold and mildew. A single-ply membrane is resistant to fire and also offers protection against extreme temperature changes and changing weather conditions. For companies concerned with their environmental footprint, there is no better option than the single-ply roof. Because they last much longer than more traditional materials, single-ply roofs are far friendlier for the environment. They can also be recycled when you finally replace them. Additionally, their impact on heating and cooling costs helps to reduce your energy usage, further lowering your carbon footprint. Duro-Last roofs are commercial roofing membranes with a high Solar Reflective Index. Duro-Last roofs are custom fabricated before they are ever installed on your building. TPO stands for Thermoplastic Polyolefin and is a newer roofing material compared to EPDM. It is constructed of a single layer of synthetic materials. EPDM is an older but extremely reliable rubber membrane material. Each of these roofing options offers its own distinct advantages. When it comes to choosing the right roof for your commercial building, you need to make a decision that will help your company’s bottom line and prioritize your organizational needs. Whether you are more concerned about reducing your organization’s carbon footprint or you need something that will last for several decades, we’ve got you covered. At A-Plus Roofing in Minneapolis, we offer several roofing options and can help you make the best decision for your organization. We also offer commercial roof repair. To install your commercial Duro-Last roof or TPO membranes, give us a call at 952.894.5435 or contact us for more information.